Classic trail across the Sagarmatha national park, from Lukla/Phakdingma over Namche to Tengpoche and back over Dingpoche to Lukla. Monasteries in Phakdingma, Thame, Namche, Pangpoche and Tengpoche as well as numerous gompa. Mani Rimdu dancing festival in Thame (May) and Tengpoche (October). Rododendron flower April – June. Market in Namche (each Saturday morning). 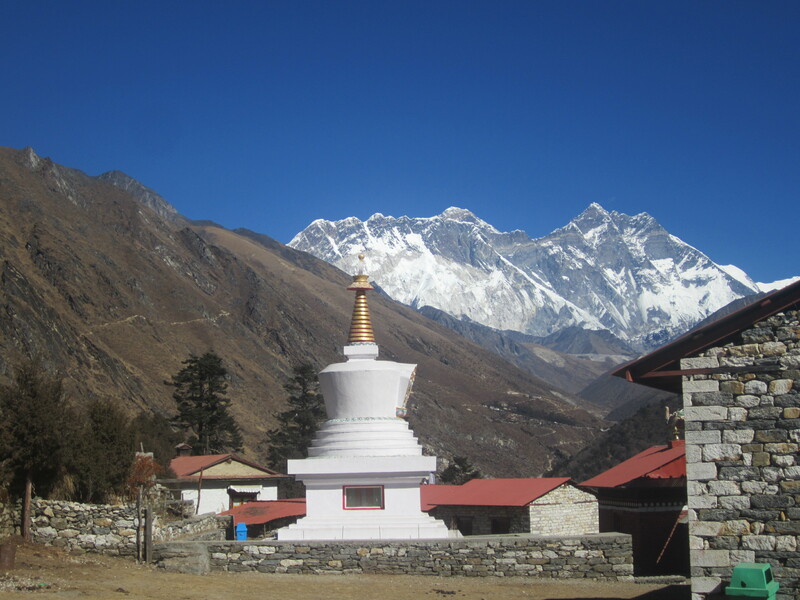 Starting Point By flight from Kathmandu to Lukla or trekking (see journey to Khumbu).